These are the appointed seasons of G-d, even holy convocations, which you shall proclaim in their appointed season. The word “מועד”, (=season =time) has the numerical value of 120. This connects us to the 12 months, signs of the Zodiac and that control the energy flow from each constellation. G-d tells us about special times in a year, where there is a special energy available to us. He instructs us to announce them as a form of connection to that time/energy. Albert Einstein said that time is just another dimension, a fourth one to go along with the up-down, side-side, forward-back we move through every day. Our understanding of time, Einstein said, is based on its relationship to our environment. The most radical interpretation of his theory: Past, present, and future are merely figments of our imagination, constructs built by our brains so that everything doesn’t seem to happen at once. Einstein’s conception of unified space-time works better on graph paper than in the real world. Time isn’t like those other dimensions – for one thing, we move only one way within it. Again; you can move in space in any direction, but time has only ONE direction. Why so? Why can’t we go back in time? The simple answer is; Time is illusion, a TEMPOrary perception. If we can’t move freely in time then we don’t need to and we don’t have to. Time exists only on the material level to create a state of beginning and end. There is no time in the spiritual dimensions. The experience of time change from one person to another, and from one event to another. Time was created for us so we can do our “time”. We were born into time frame to define and do work. We’ve been “pushed” into matter, the prison of the soul, a place of work with beginning and end. The portion of Emor gives us the time map of the Holidays, a time where we can connect to higher levels to get help in doing our time. Author Zion NefeshPosted on May 8, 2009 May 8, 2009 Categories Leviticus, TorahTags Albert Einstein, Emor, Physics, Time2 Comments on Emor- What is time? Many people translate "the Children of Israel" to "The Jewish people". After the death of King Solomon, Rehoboam, his son causes a split in the nation. This situation allowed negativity to get in and brought the exile of the ten tribes, "The Lost Tribes". A Jew, "יהודי", connects to the tribe of Yehuda and to the line of David. Prophesies tells us about G-d\’s promises to gather us from all the nations (Ezekiel 20:34). In Ezekiel 20:40 G-d says that in the Holy Mountain, all the house of Israel will serve G-d. The "children of Israel" refers to all the Tribes, including the lost ten. They could be your neighbors. If they were not born as Jewish, "יהודי", it doesn\’t mean that they are not from the house of Israel. The root of the word redemption "גְּאֻלָּה" appears in this parasha more than in any others. It also guides us to be honest and support each other. The code of seven that repeats in the parasha, represent the final Shabbat, the elevation to the light of Binah. It will be when all Israel will be united in the Holy Mountain, "בהר" (=207= Light="אור"). Author Zion NefeshPosted on April 20, 2009 Categories Leviticus, TorahLeave a comment on Behar – Who is a Jew? Author Zion NefeshPosted on April 20, 2009 Categories Leviticus, TorahLeave a comment on Acharei Mot – Who and what is the scapegoat? "וַיֹּאמֶר יְהוָה אֶל-מֹשֶׁה, אֱמֹר אֶל-הַכֹּהֲנִים בְּנֵי אַהֲרֹן; וְאָמַרְתָּ אֲלֵהֶם, לְנֶפֶשׁ לֹא-יִטַּמָּא בְּעַמָּיו." "And the LORD said unto Moses: Speak unto the priests the sons of Aaron, and say unto them: There shall none defile himself for the dead among his people"
The Zohar ask the question "what is the point of saying "unto the priests the sons of Aaron". Isn\’t it obvious that the priests are the sons of Aaron, and answers that the instructions are for the sons of Aaron and not the sons of Levi, because Aaron is the beginning of the line of all the Kohanim (priests) in the world. The Holy One Blessed be He, selected him to create peace in the world. Aaron\’s ways elevated him to that position and duty because all his life he was working to bring peace in the world. Because of that The Holy one elevated him to the priesthood in order to bring peace to the ones that serve the Holy on the upper levels. By his work, Aaron cause a unification of The Holy one and the Shechina and peace is made in all the worlds. This is the reason it said "אֱמֹר אֶל-הַכֹּהֲנִים בְּנֵי אַהֲרֹן" (: Speak unto the priests the sons of Aaron). In my humble opinion, the beginning of the parasha is the point where the G-d made a genetic change (signature) in the Kohanim\’s DNA. It is known the Kohanim carry a special "Kohen Gene". There are three words in the verse with the root of "אמר", which implies a higher level transfer of light (like in the story of creation that was made with ten saying of "וַיֹּאמֶר"). "וְאָמַרְתָּ אֲלֵהֶם, לְנֶפֶשׁ" and you speak to them, "לְנֶפֶשׁ", to the soul, "לֹא-יִטַּמָּא בְּעַמָּיו" shall not be impure among the people. Aaron and his sons and all the Kohanim that followed became channels to draw the Light of the Creator from the upper to the lower. The Kohanim have strict rules of behavior. When examining those rules closely we find that they are made to keep the purity and not to negatively affect the DNA of the Kohen. In (21:5) we read "וּבִבְשָׂרָם–לֹא יִשְׂרְטוּ, שָׂרָטֶת" (shall not make any cuttings in their flesh). A Cut in body affects the DNA of the cells and leaves a visible scar (even if the cell renews itself, the \’memory\’ of the cut remains!! !…B"H I\’ll discuss this issue in another article). Verse (21:8) says "וְקִדַּשְׁתּוֹ–כִּי-אֶת-לֶחֶם אֱלֹהֶיךָ, הוּא מַקְרִיב; קָדֹשׁ, יִהְיֶה-לָּךְ–כִּי קָדוֹשׁ, אֲנִי יְקוָק מְקַדִּשְׁכֶם" (Thou shalt sanctify him therefore; for he offereth the bread of thy God; he shall be holy unto thee; for I the LORD, who sanctify you, am holy.) The English translation of the verse, which copied form the Jewish Publication Society version (1917) does not or can not translate the true meaning of the text in Hebrew. 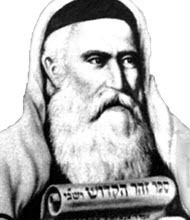 This verse sums up the essence of the Kohen as unique "קָדֹשׁ, יִהְיֶה-לָּךְ", his duty "כִּי-אֶת-לֶחֶם אֱלֹהֶיךָ, הוּא מַקְרִיב" and the fact that G-d made him (the Kohanim) so ("אֲנִי יְהוָה מְקַדִּשְׁכֶם"). We explained in the commentary to the portion of Shemini that "קָדֹשׁ" is the connection of upper and lower (Binah and Malchut). This root appears four times in this verse to represent the full connection to the light (as in the four letters name "יקוק\’). It is known that when the Kohanim served in the Holy Temple and drew the light to the world, there were no wars. The whole world was in peace like the time of King Solomon. His name "שלמה־המלך" comes from the root of "שלם", which means whole or complete and peace. When you read "שלום" (peace) is the same as "שלם" (complete, without any lack). Unfortunately as time passed the Kohanim did not keep the strict purity required from them from the Torah and a corruption happened in their DNA. This damage to the channel affected the amount of Light the Kohen could draw to the world, and it wasn\’t enough to keep and sustain complete peace. (Can you imagine how big is the lack of Light is in our days that we have so many wars, nature disasters and not even good leaders for the nations of the world…). The destruction of the first Temple happened because of hatred for no reason, which is a peace breaker, and if there is no peace the Light can not flow to the world. The second temple was built but couldn\’t hold on long because the DNA corruption was too deep. Many Kohanim died while trying to draw the Light to the world during the Yom HaKippurim service in the Holy Temple. If the channel is not pure enough, it can\’t hold the light. The Kohen was instructed not to connect to death of any kind. In 21:12 we read "וּמִן-הַמִּקְדָּשׁ, לֹא יֵצֵא, וְלֹא יְחַלֵּל, אֵת מִקְדַּשׁ אֱלֹהָיו: כִּי נֵזֶר שֶׁמֶן מִשְׁחַת אֱלֹהָיו, עָלָיו–אֲנִי יְהוָה." (Neither shall he go out of the sanctuary, nor profane the sanctuary of his God; for the consecration of the anointing oil of his God is upon him: I am the LORD.) .Again, the English translation maybe close to the words but far from the meaning. I\’ll translate it here in a way that it will be closer to the Hebrew meaning. "He shall not leave the Temple so he won\’t create un-holiness (" וְלֹא יְחַלֵּל", is from the root of "חול" and "חלל" (space) to the Temple of his G-d because he was anointed with the blessing of G-d, I am G-d. The simple understanding from reading this verse is that if a Kohen leaves the Temple, he brings negativity to the Temple of G-d. This is a little bit strange because if he is out of the Temple then how come he can create blemish or un-holiness to the Temple of G-d. The purpose of the existence of the Temple is (was) to provide a tool for the Kohen to draw the Light to the world. (Remember that in this world we (genesis 1) "אשר־ברא־אלקים־לעשות" must work to earn any benefit of the light). The Kohen is the Holy channel of Light and, as explained earlier, every action the Kohen is involved with affects his channel. He must stay pure and holy to use the G-d given tool to draw the Light. Many know the great Tzaddik, Rabbi Yisrael Abu Chatzeirah, the "Baba Sali", of blessed memory. His name translated to "Praying Father", he prayed for many people and created many amazing miracles. He kept his purity in many ways. He testified on himself that the fact that he never trimmed his beard kept his channels open. He kept the purity of his eyes. His head was completely covered so it would be easy to stay away from unnecessary and distracting images. He didn\’t look at women\’s faces. By keeping his purity he could be a channel for the Light to bless and pray to heal others. He was the one that re-opened the synagogue of the Ari in Safed that was closed for many years. People that try to enter and connect to the holiness of the Ari couldn\’t do that without getting gravely sick or even die when entering the synagogue. Now we can easily understand verse 21:21 "כָּל-אִישׁ אֲשֶׁר-בּוֹ מוּם, מִזֶּרַע אַהֲרֹן הַכֹּהֵן–לֹא יִגַּשׁ, לְהַקְרִיב אֶת-אִשֵּׁי יְקוָק: מוּם בּוֹ–אֵת לֶחֶם אֱלֹקָיו, לֹא יִגַּשׁ לְהַקְרִיב" (no man of the seed of Aaron the priest, that hath a blemish, shall come nigh to offer the offerings of the LORD made by fire; he hath a blemish; he shall not come nigh to offer the bread of his God.). If any person from the seed of the Kohen has a flawed DNA, "מוּם מִזֶּרַע" then he can not serve the Holy. This is also the reason why the same kind of people can not get "Aliah" (going up, make elevation) to the Torah. Whoever gets Aliah should meditate to be a channel to draw the Light of the Torah reading for the whole congregation. In Shabbat we have seven "Aliot" to connect to the Seven Sefirot (Chessed (Kohen), Gevurah (Levi), Tiferet (Yisrael), Netzach, Hod, Yesod and Malchut). The first three create the vessel for the light; the first letter of Kohen כ, Levi ל and Yisrael י, create the word "כלי", which means vessel. Every Kadish and prayer includes the blessings of "עושה־שלום־במרומיו־הוא־ברחמיו־יעשה־שלום־עלינו־ועל־כל־עמו־ישראל" or "המברך־את־עמו־בשלום", which comes close to or at the end of the prayer. In the future we will have a complete peace with the intervention of G-d. "עושה־שלום־במרומיו", G-d that is making peace (=completion) above , "יעשה־שלום־עלינו". Will make peace on us and the whole nation of Yisrael. The parasha is mentioning the major holidays that the Kohen need to perform a special service at the Temple. B"H we\’ll merit soon seeing the Holy Temple and the Kohanim doing their work to bring peace for the whole world. Amen. The Zohar tells us that Kedoshim includes the whole torah. If the Zohar states that huge statement then we need to stop and dig in to find out why. It is a short portion but with huge spiritual depth. before the blind, but you shall fear your G-d: I am the Lord. rebuke your neighbor, and not bear sin because of him. (Please Read commentary to the portion of Metzora in order to understand the following article http://rabbishimon.com/index.cfm/feature/91_3). We\’ll understand this soon but let me ask you this. If a person shot another person in order to kill him and missed, did he kill him? You may say; No, if he missed him then he didn\’t kill him. You are right, but spiritually you are wrong. If a person aims to kill another, he had already imagined him as dead. If he took the shot then he killed the other person. The physical appearance doesn\’t matter when considering the effect on the person attempted to kill. If he went to kill and stopped before completing the act, it is different because the new choice came to be and it cancelled the previous one. Let\’s take a short lesson in nuclear physics. Name of the lesson is "Does matter exists?" Scientists teach us that surrounding every atom there is an electromagnetic field which is energy and not matter. Even surrounding electrons and nuclei is a field and even the particles that make up the electron which revolve around the atom is probably another electromagnetic field and whatever makes up those particles is probably surrounded by an electromagnetic field and so on. Atoms never actually touch one another. They are in constant movement in space. Whatever we see is what we perceive to be matter, but in fact, it is only a reflection of light, projected into a screen in the back of our inner eye. It is an upside down image and we need the brain to interpret it for us. Without going to deep into this subject, I ask you again, Does matter exists? What keeps the fields of energy organized in a particular pattern? I hope that I prepared you enough for the next statement. You shall be holy; for I the LORD your G-d am holy"
There are no conditions said here. It is simple; be holy because I am holy. Your patterns exists in the space which is G-d. Your individual matter is represented as patterns of energy that makes you. It is the sum of your desires that defines your vessel. This is what holds the Light inside and in connection with "the space", internally and externally. Now that you have this in your mind read the Parasha again and again. Suddenly you will understand it differently because the mystery has just been revealed. G-d gave us the gift of being with us in every heart beat. He is Holy and whatever you do affects the patterns of energy, which uses the Light of the Creator as drive to keep us in motion and express the self and its desires. If we act in ways which are not Holy, we contaminate the Holiness inside. We cannot curse the deaf (Lev. 19:14) because it takes us out of holiness. It doesn\’t matter if he heard us or not. If one steals and wasn\’t caught, he is still a thief. If you hate your brother in your heart (Lev. 19:17), you don\’t have to express it for the effect to take place in your space. To "bear a sin on yourself" is the effect on your soul (the energy patterns). When it says "his blood shall be upon him", it is the effect of the sin as it registers in the blood. Every sin creates a barrier between the Light and the vessel. If there is no likeness with the light, the DNA gets changed and creates openness for negativity. Rabbi Shimon says in the Zohar that when negativity is in town, don\’t show yourself in the markets (where people are). When there is negativity in the space, we better stay away from it. Every person is responsible for his own actions and for all that is in his surrounding space. Lev. 19:17 instructs us to care for our neighbors, to make sure they follow the ways of the Light, otherwise we will carry their sins. Their actions impact the space that we share and affect us. 19:18 tells us to make our space as one with the others because the light doesn\’t want to be within the limits, which is you. Sharing connects us together and expands the light beyond ourselves. Imagine a picture that everyone is still connected to their mother with the umbilical cord. You would see a huge tree of people connected to each other. The light wants us to reach that point where we see each other as ourselves. No separation. Lev. 19:4 teaches us not to turn to idols. Idols are the illusionary "materials" that we want to have and connect. They are not the light and they distracting us from connecting to what is important. When it says that G-d created us in his own image. " The word "מועד", (=season =time) has the numerical value of 120. This connects us to the 12 signs of the Zodiac and 10 sefirot that control the energy flow from each constellation. G-d informs us on the special times throughout the year, where there is a special energy. He instructs us to announce them as a form of connection to that time/energy. Albert Einstein said that time is just another dimension, a fourth one to go along with the up-down, side-side, forward-back we move through every day. Our understanding of time, Einstein said, is based on its relationship to our environment. The most radical interpretation of his theory: Past, present, and future are merely figments of our imagination, constructs built by our brains so that everything doesn\’t seem to happen at once. Einstein\’s conception of unified spacetime works better on graph paper than in the real world. Time isn\’t like those other dimensions – for one thing, we move only one way within it. Why so? Why can\’t be go back in time? The answer is simple. If we can\’t then we don\’t have to. Time exists only on the material level. There is no time in the spiritual dimensions. In our world we perceive it as an illusion. The experience of time changes from one person to another and from one event to another. Time was created for us so we can do our "time". We were born into time to work. We\’ve been "pushed" into the matter, the prison, the work, so we can grow and collect sparks of light that was lost to negativity in the current and in previous lives. We are born with a certain amount of "installed" light and potential light. The work is to use the "installed" light to connect and add to ourselves from the potential light. This is done by positive actions ("Mitzvoth") to keep the light we have (and not to lose it). When we get out of ourselves to do for others, we add to ourselves from the potential light. The parasha discusses two main issues. One is the purity of the Kohen and the second is the calendar of events to perform "services". We know that the services are actually our opportunities to connect to the special light that becomes available for us. All the major events are discussed here. Shabbat, Rosh Hashanah, Yom Kippur, Sukkoth, Passover, the counting of the Omer and Shavuot. The dates are described with details. They\’re exact and there is no flexibility. In many civilian holidays, they can move the date of the event to a "convenient" date. In the Jewish, or should I say the divine calendar of event, it is precise. You cannot move Passover night to Sunday if it falls on a Saturday night just for the convenience of it. The energy simply will not be there. One of the special events is the blessing of the Sun. Most of you know about the blessing of the moon that is done on a monthly basis. There is another cycle of the Sun that occurs every 28 years. The next time we need to do it will be April 8th, 2009. It is Passover eve. After burning the Chametz on that morning, we will need to make the connection to the blessing of the Sun, "Birkat Hachama". This event connects us to the first appearance of the Sun at the time of creation. I received information that this time the sun will also be at the same cosmic position as the day the Israelites left Egypt, the Exodus, and also the same position that was at the time of the miracle of Purim when Mordechai and Esther overcame the negativity of Haman. At the beginning of the Parasha we read that G-d instructs Moses to talk to the priests and give them the guide on how to be pure. Their service requires channeling the light to the people. An impure channel cannot do that. Some comunities won\’t let a person with physical disabilities (Blind, one with stuttering and can not say the blessings, a person that does not keep the Shabbat) to be called to the Torah on Shabbat. A cohen has some rules that prevent him from doing the blessing of the Cohanim. The reason for this is that every person that goes up to the Torah is a messenger of the light. He should meditate to channel the light of the reading to his congregation. If the vessel is flawed then he can\’t channel the light entirely. The three major holidays appear in this portion because the priests have more work in servicing the people. The Torah law states that we need to come to the Holy Temple three times a year. On Sukkoth, Passover and Shavuot. The first two are exactly six months apart. Shavuot comes after special counting of seven times seven. This is the counting of the Omer. After we complete the counting we receive the Torah. Time is a special tool that created for us in order to build vessels to draw the light. We work six days to rest in Shabbat and get the light. So with the Seder (means order in Hebrew) of Passover night, so with Shavuot and Sukkoth. Those are special days that we can connect to the highest level of light our soul can connect to. Take "your time" and build your vessels. If you built them, the light will come. Author Zion NefeshPosted on April 20, 2009 Categories Leviticus, TorahLeave a comment on Emor- What is time? Bechukotai – Who is responsible for the Cyclone? In the Parasha of Bechukotai, G-d tells us that if we obey and follow the laws and commands, everything will be normal and if not, many horrible diseases and troubles will come upon us. This is the end of Leviticus and as such closes the energy level of Binah that is the source of energy for the world. The following level is Zeir Anpin and it is the "face" of this world. These are the decrees, the laws and the regulations that G-d established on Mount Sinai between himself and the Israelites through Moses. Here Torah tells us the spiritual laws of the universe. There is a system that works between us and the Creator. It is cause and effect and whatever we saw, we reap. This parasha is also like a prophecy for the future. In a global level, if we lose the connection to the light, we get all kinds of chaos. We need to have a miracle of consciousness change in the world in order to have some effects and reverse some of the chaos. Sometimes soon, I will introduce a special virus, positive one to help do that. Stay with the light, no matter what. Author Zion NefeshPosted on April 20, 2009 Categories Leviticus, TorahLeave a comment on Bechukotai – Who is responsible for the Cyclone? Author Zion NefeshPosted on April 20, 2009 Categories Leviticus, TorahLeave a comment on VaYikra – The power of the letters.